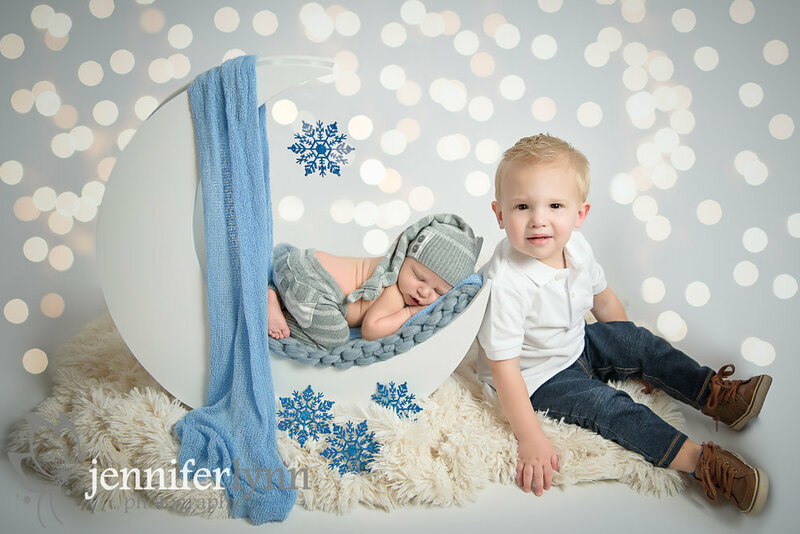 This little guy came in over the weekend for his newborn session and was just as sweet as can be during his photos. We had such beautiful weather the past few days with lots of sunshine and warmth it almost felt like spring had come early! Now as I sit here it's snowing outside and the high for the next few days won't even get above freezing. Good thing this family snuck in before the cold set in for Elliott's session. We did a blue and grey theme for Elliott to match other elements of the family's home and these colors are just so classic for a little boy. We added in some snowflakes and winter elements, which now seems appropriate considering the current snow outside! His mom also requested my white vintage bowl and Elliott just barely fit inside, but was perfectly content to curl up in the bowl as long as his legs felt secure with a wrap tucked around his tushie. It's just amazing sometimes to realize how tiny and curly newborns are, even after photographing so many and having kids of my own. It's truly a short window of time where they curl up like that and love to be in a tiny ball. I also snagged some family and sibling photos at the beginning before big brother decided he'd had enough of the crazy lady and her clicking camera. He wasn't so sure about the bright light and sitting away from mom and dad, but snacks can be a magical bribe and my sneezing trick seemed to get his attention for a few brief seconds. He reminded me of my oldest after her brother was born. My older two are 18 months apart and my daughter would visibly roll her eyes when she had to stop playing with mom because I had to take care of baby brother. Now they are the best of friends and I hope these two brothers feel the same way as they grow together. A big thanks to this family for allowing me to be part of these special memories! 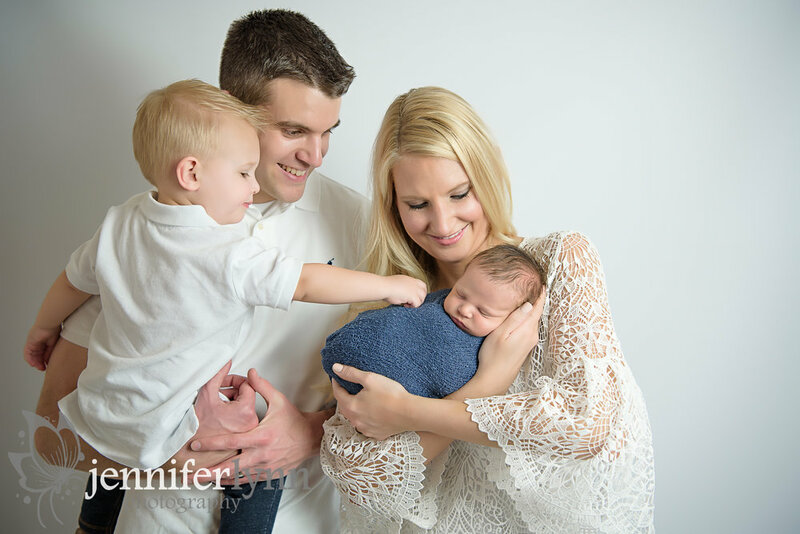 I enjoyed both your kids and look forward to delivering your full gallery of photos.